Aerial mapping can be quite time-consuming and expensive. Even if you are employing a UAV to do it, it might take hours for all the post-processing, time-stamp shifting and deleting blurred photos. And after all the time invested, it is quite possible that the map created is not up to expectations, and the whole process starts almost from scratch. That is what Maps Made Easy, a Kickstarter project, is trying to improve. Maps Made Easy is a brainchild of a San Diego based Drones Made Easy, a DJI dealership with a twist, because behind it stands a group of engineers with aerial photography, photogrammetry and commercial drone mapping systems experience. Interact – View the created maps on the Maps Made Easy site. Pan and zoom around using a familiar interface. Control public accessibility. Embed freely. Image processing can tie up a personal computer for hours, if not days, unless you have a US$15.000,00 workstation that can spit it up in minutes. 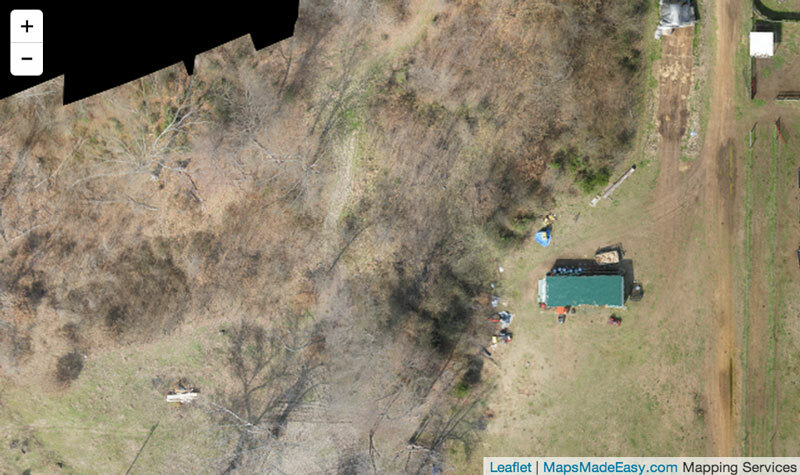 By offloading the job to the Maps Made Easy image-processing service, you can free your computer and just wait for the email with your hosted and stitched aerial image. Full geo-referencing can be done with just a few clicks. The Maps Made Easy service is the future of low-cost aerial mapping. It is able to provide up-to-date maps out of stitched imagery, that are accurate enough even for GIS professionals. And if you are having a second thought on funding this Kickstarter, let dronologista give you some simple advice: back it! Videos courtesy of Drones Made Easy. A brilliant article, first hand experience, and an interview with CTO of Drones Made Easy can be found on DIYDrones.